This is true in many things, including weight loss. When people first decide to lose weight, they typically – and logically – would like it to happen as quickly as possible. But, weight loss is the result of several biological functions. There’s a lot involved. Well, I have good news and… not-so-good news. The good news is you can lose weight fast. Your weight, as mentioned is heavily influenced by several other systems in your body. Of course, there are the obvious things like diet and activity. When you eat, you take in calories which can either be burned or stored as fat. But that’s really only a very simplified view of what’s really going on. In fact, people often change their diet, start exercising regularly and still see no real change in their weight. The way your body uses that fuel and even the way you respond (or don’t respond) to exercise is governed largely by your hormones. If these are not functioning properly, your weight is often one of the most obvious signs. While you’re sleeping, your body recovers from the day and resets many of your hormones. So, what happens if you don’t get enough sleep? Your body cannot properly repair itself from the damage done during the day and starts to think you’re in danger. Let’s say, then, that you’ve been dieting and exercising but not getting enough sleep. The stress caused by exercise also increases cortisol levels, although this is normally within a healthy range. Since your body is already stressed, though, your workout just made the situation worse and can actually make you store more fat. But this is just one example. Your genetics can also dictate how quickly you lose or gain weight, even telling your body where to store fat. When it comes to the speed of weight loss, we also have to consider your starting point. In part, this is just a basic survival mechanism. Your body, left to its own devices knows how to be healthy and wants to be. It knows how much fat you should have. When you have more than necessary – to the point of risking your survival – your body is going to be ready and willing to get rid of the extra fat. But it’s also a question of efficiency. The fitter you are, the more work you have to do burn the same amount of calories. An obese person who is largely sedentary will burn more calories doing less activity than a well-trained athlete, just because the athlete’s body is more used to the challenge. Okay, so now that we’ve covered some of the factors that contribute to – or fight against – weight loss, let’s talk about some of things people try. Actually, we’re going to focus for now on some of the approaches people try that don’t work. When it comes to rapid weight loss, crash and detox diets reign supreme. Their popularity isn’t because they’re a good idea, though. Let’s be clear on that. No, these dangerous, highly-restrictive diets refuse to go away because the absolutely do provide rapid results. Of course you’ll lose a lot of weight in 3 days if you eat nothing but grapefruit or drink lemon-water. This weight loss actually has nothing to do with the particular foods that you eat. Simply put, these diets work because you’re starving yourself. Letting your body reset to its natural baseline. 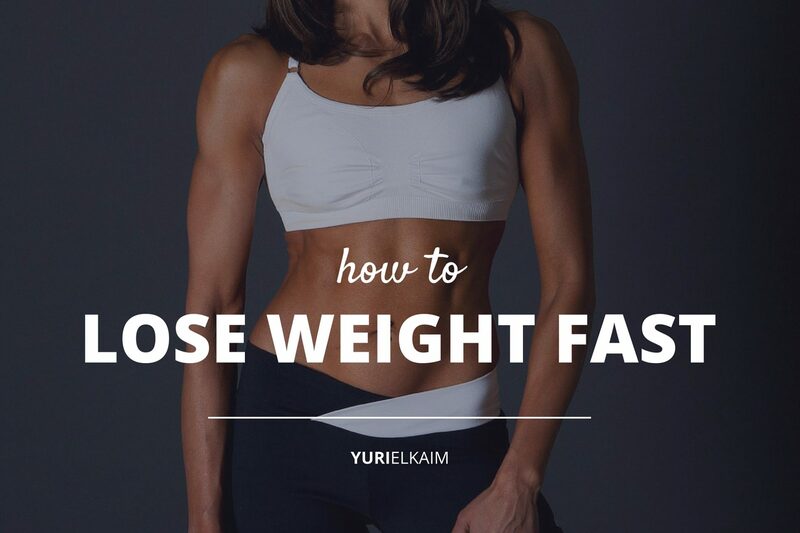 That is how to lose weight fast. Remember, your body wants to be healthy and lean. Your body, just like any other machine wants to be able to function optimally. The problem is we keep making it hard for our body to do its job. Understanding how to properly use diet, exercise and stress management, though, allows us to create an internal environment where our body can work the way its supposed to. Really, it’s all about living in the most natural way possible. Many of the herbicides and pesticides used to treat fruits and vegetables have been identified as endocrine disruptors. (2) This means these chemicals have the ability to manipulate your hormones – either by overproduction, underproduction or just outright messing with the way your body responds to them. Cutting these substances out of your diet is a key step in letting things return to a healthy metabolism. But these whole foods are also rich in micronutrients – vitamins, minerals and highly beneficial chemicals produced by plants – that support your health in numerous ways. Since many of these nutrients directly influence your energy metabolism, making sure you get adequate levels of them will also help support your metabolism. In our effort to return to the natural order of things as much as possible, we also need to consider when we eat. For most of mankind’s history, food was not readily available. This means that our bodies had to be prepared to deal with periods of famine. And we got really good at it. In fact, fat stores allow us to have fuel even when food isn’t readily available. For most people, though, things are very different now. Food is pretty easy to come by and many people are even under the impression that they have to eat several times each day to lose weight. The truth, though, that the human body got so good at fasting that it actually likes it. (3) During brief fasts, your body increases your fat metabolism and even sharpens your mental function. As a bonus. Some days yes, some days no, some days high, some days low. So you aren’t starving yourself. You’re simply going one day without food each week. If that still sounds extreme, remember the time you spend sleeping counts towards your fast. So that’s an eight-hour head-start right there. Finally, let’s talk about exercise. Again, the human body is not meant to be sedentary. At all. Our body is built to work and be active for long stretches of time. But, for most of us, that’s not how life works anymore. Exercise, then, allows us to be active and try to make up for all the time we spend sitting behind desks. You do not have to spend hours killing yourself in the gym every day to lose weight fast. In fact, you shouldn’t. Remember, your body releases cortisol in response to danger and stress, and when levels are too high for too long you store fat instead of burning it. We would expect, then, that cortisol levels spike dramatically during a challenging workout. But that’s really not all that surprising. Still it highlights something about exercise we need to spend some time on: You can go too far. If your workouts are taxing your body too much, they could actually cause you to pack away fat rather than burn it. How do you work out correctly, then? Really, there is no need for you to spend more than 30-minutes in the gym, three times each week. That’s it. While you’re there, your workout should focus primarily on big, compound exercises that emphasize your biggest muscle groups. The idea here is to stimulate growth in these large muscles so that they continue to burn more and more calories even when you aren’t actually working out.